Offline is headquartered in the beating heart of the fashion district in downtown Los Angeles. Our deeply experienced, talented team is equipped to offer end-to-end production or a-la-carte packaging including concept development, patternmaking, fabric sourcing, marking and grading, cutting, sewing and distribution. 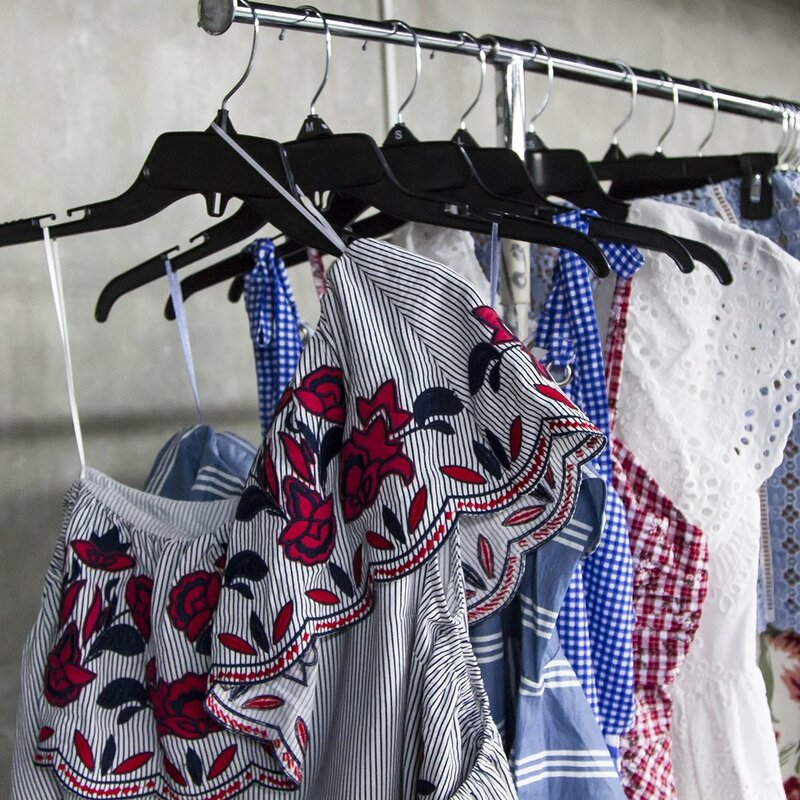 We’ve developed in-house brands from concept to commerce, and we’re tested and trusted by major global department stores and e-tail innovators to craft trend-forward, exceptional-quality labels. Our factories are among the best available, and we operate an international office to maintain transparency and hands-on, thorough quality control for everything we produce. An obsessive attention to our facilities, including frequent visits by senior leadership and on-site QA/QC oversight, allows us to respond in real time to opportunities and enhancements. Annual audits reaffirm our commitment to always operate responsibly and sustainably. Our in-house team of designers and patternmakers collaborates with our clients to fulfill their vision. We bring both fashion-trend forecasting and market-trend tracking to the design table. Our production capabilities allow us to respond rapidly to the trends that are gaining traction with our partners, as well as the cultural moments they want to capture. Utilizing our global network of socially compliant manufacturing factories and textile sourcing capabilities, we can bring your vision to market with exceptional quality control and speed. Contact our Corporate Sales Team to start the conversation. Our youthful contemporary brand celebrates the girl next door. Carried online and in-store across boutiques nationwide, with hundreds of new designs created each month. Storee is designed for the trend-conscious millennial who lives and breathes fashion everyday. Find it in Nordstrom, Daily Look, and more. Cultivated on the principles of confidence and individuality. Jonesy caters to the sophisticated woman and can be found in major department stores including Dillards and Lord & Taylor.